Sanjay Srivastava will talk about “From the Five Year Plan Hero to Mr. Modi’s Masculinity: Notes on Modernity, Consumer Cultures and ‘Tradition’ in India” with discussant Prof. Susan Brownell (University of Missouri-St. Louis). Wednesday, July 1st, 6-8 pm, Karl-Jaspers-Centre, room 212. 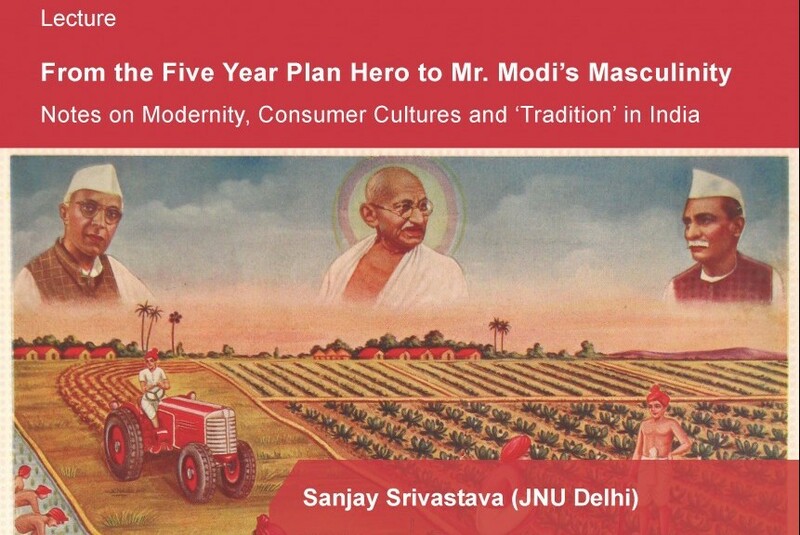 On Wednesday, July 1st, Prof. Sanjay Srivastava (JNU Delhi) will hold a lecture about “From the Five Year Plan Hero to Mr. Modi’s Masculinity: Notes on Modernity, Consumer Cultures and ‘Tradition’ in India.” Prof. Susan Brownell (University of Missouri-St. Louis) will lead the discussion. Media discourses — both independent journalism and advertisements — during the 2014 general election in India articulated a gendered focus on a significant aspect of Narendra Modi’s public representation relating to his ‘forceful’ masculinity. His election campaign—as well as popular discourse that surrounded his pre-prime ministerial persona — significantly focused upon his “manly” leadership style: efficient, dynamic, potent, and capable of removing all policy-roadblocks through sheer force of personality. 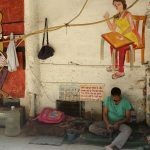 This discussion provides the broader historical context of Indian masculine cultures and suggests that ‘Modi-masculinity’ reformulates older versions of Indian masculinist discourse in a time of consumerist modernity. 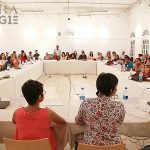 The discussion suggests that Modi-masculinity stands at the juncture of new consumerist aspirations, the politics of “Indian traditions” and gender, and the re-fashioning of masculine identities. 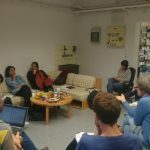 It seeks to localise the notion of ‘neo-liberalism’ through exploring its gendered dimensions and positing three specific analytical contexts, viz., ‘post-nationalism’, ‘moral consumption’ and ‘surplus consumption’. Sanjay Srivastava is Professor of Sociology at Jawaharlal Nehru University in Delhi. His publications include Constructing Postcolonial India. National Character and the Doon School (1998), Asia. Cultural Politics in the Global Age’ (2001, co-author), Sexual Sites, Seminal Attitudes. Sexualities, Masculinities and Culture in South Asia(2004, contributing editor), Passionate Modernity. Sexuality, Class and Consumption in India (2007), and Sexuality Studies (2013, contributing editor). Most recently, he has published Entangled Urbanism. Slum, Gated Community and Shopping Mall in Delhi and Gurgaon (OUP, 2015). He is co-editor of the journal Contributions to Indian Sociology. Susan Brownell is an internationally recognized expert on Chinese sports. 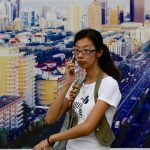 She has done fieldwork in China, primarily in Beijing. Her research interests are sports and body culture. In 2007-08 she was a Fulbright Senior Researcher at the Beijing Sport University, doing research on the Beijing Olympic Games. She is the author of “Training the Body for China: Sports in the Moral Order of the People’s Republic”(University of Chicago Press, 1995) and the co-editor, with Jeffrey N. Wasserstrom, of “Chinese Femininities/Chinese Masculinities: A Reader”(University of California Press, 2002). Susan Brownell is also the editor of “The 1904 Anthropology Days and Olympic Games: Race, Sport, and American Imperialism” (University of Nebraska Press, 2008).